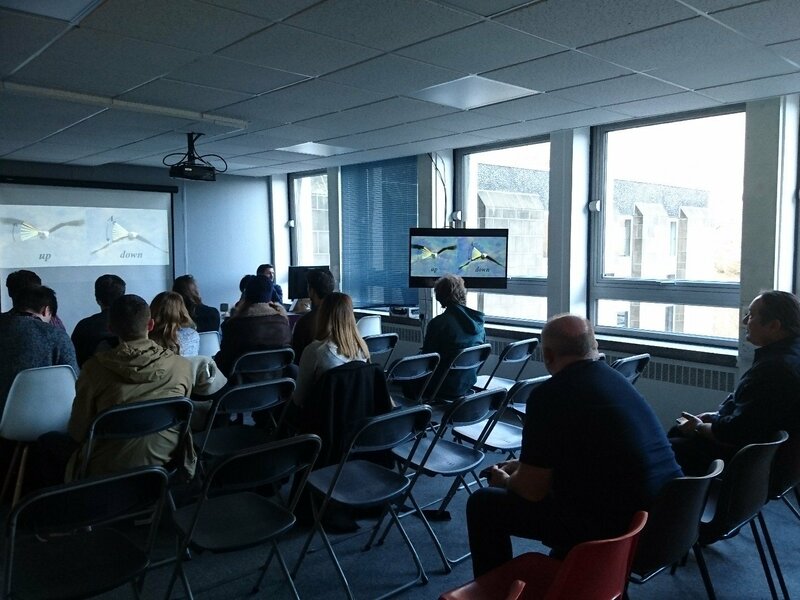 I recently did a bird flight demonstration at an animation conference called Move Summit in Scotland. It's always a fun, if a somewhat daunting challenge to animate in front of people - not least because anatomy expert Stuart Simida was in the audience! In the demo I created a basic flight cycle using a goose character, here is the animation below with an added background and glide. I've also added a donate button to this blog. Many people have contacted me to say that they have found my bird flight tutorial useful. That is great to hear and I am happy to give this and my other tutorials away for free but the website does cost me money to host and I don't really use it for anything else now. So if you have enjoyed my bird flight tutorial and you have a spare buck or two I would really appreciate the help and you would make sure the tutorial continues to be a resource for yourself and others to use. Many Thanks!